But seriously. The recent Fun OpenID Phishing Demo shows just how troutish the typical OpenID user would if the technology was ever adopted for serious use. With OpenID (as with all SSO technologies) once they have your master login credentials they have access to all your SP accounts. Too many OPs are far too easy to Phish. Touting the added security of an additional browser plug-ins (especially one that is only available on Firefox) is simply not going to cut it. SPs have to believe that OpenID provides sufficient protection for all their customers assuming a vanilla browser or it won’t be adopted for serious use. Some sites like Vidoop are more Phishing resistant than others (Vidoop also has a browser plug-in that is available on both Firefox and IE). Also relying on Information Cards to authenticate to the OP provides a high degree of Phishing resistances. But relying on sites to be Phishing resistant would force SPs to a White List approach. 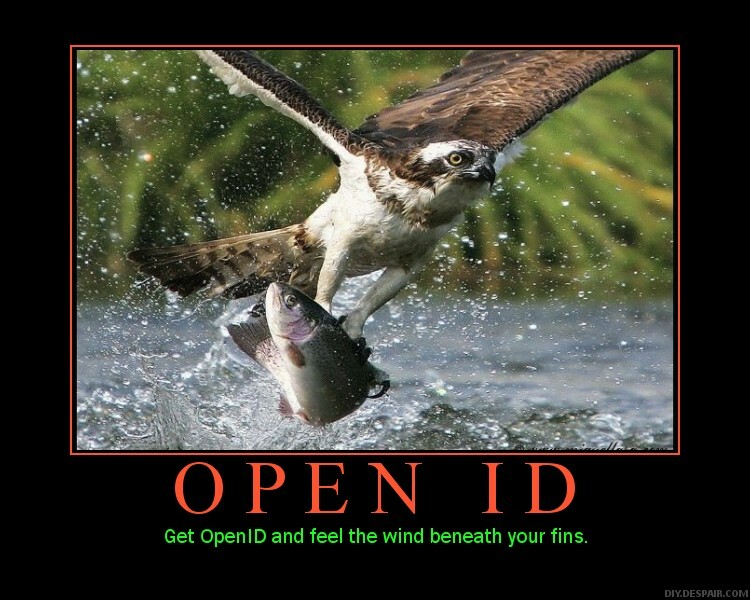 Perhaps OpenID + White Lists + Phishing Resistant OPs would keep Mr. Trout safe and happy. PAPE is supposed to address this. But trust is all about knowing who you are dealing with. If I don’t know you, how can I trust you will really honor your promise? Likewise how does an SP trust that a previously unheard of OP will honor the promises it makes via PAPE in regards to authentication? Well, let’s not take this too far because in the original song things don’t work out so well for Big Jim. Kim Cameron, on the other hand, just laid waste to claims by a trio of university researchers to have breached CardSpace. You can read Kim’s rebuttal here and here. Compare this silliness to the recent Open ID Phishing demo. The Phishing demo is a very useful demonstration that not only shows a real and practical attack, but also provides a way for OpenID providers to test their own implementations out. Guess which one got more press from the mainstream media? Recently as part of my work with Cub Scouts I had to prepare a lesson on the Metric System. That started me thinking about the myths and misconceptions of the Metric System, why it isn’t used in the United States, and what that all means for Identity Systems. First let me say I am a big fan of the metric system (I have a MS in Aerospace Engineering). And living in the United States, I almost never use it. And those not contradictory statements. The reason that I never use it is that for my day to day life outside of work it simply offers no advantages to me. When studying engineering in college I used the Metric System almost exclusively. However after going into the software industry I haven’t used it professionally since. Myth #1 – The Metric System is a base10 system which is far superior to base 12 systems. The metric system has been adopted world-wide (except for those crazy stuborn Americans) because of the inherent superiority of base10 mathematics in every day use. BTW, what time is it where you are? What coordinates does your GPS show? How steep is that incline? Have you ever tried to saw a 1 meter board into 6 even pieces? The point is while base10 is much better for doing calculations with a calculator, base12 is better for some calculations you need to do in your head. That is because 10 is divisible by only 5 and 2, where as 12 is divisible by 2,3,4, and 6. Myth #2 – You shouldn’t use the English (Customary) System for technical purposes because the conversion between feet and inches and pound and ounces is much harder than converting between meters and kilometers and liters and milliliters. When doing technical work you don’t ever need to convert between feet and inches. You really every need to convert between meters and kilometers either. Once you are using scientific notation it doesn’t matter. 10,000 feet is 1x10E6 feet and 10,000 meters is 1x10E6 meters. Neither unit system is easier than the other in scientific notation. Myth #3 – The Metric System is superior because all units are derived and reproducible from the properties of natures. For instance the Celsius 0 and 100 are freezing and boiling point of water. The meter is derived from a Meridian of the Earth. While the Metric System was once naturally derivable, it was long ago discovered that physical properties that they originally used vary too much to give an accurate definition. For a while they where defined against physical models (for instance a certain platinum bar was used to define the meter). That was eventually viewed as too risky. Now all units are defined in purely arbitrary, but reproducible terms. Myth #4 – The stubborn Americans will eventually convert when enough are “educated sufficiently”. It’s only ignorance that keeps the Americans from converting willingly like the rest of the world. As of 2007 only three countries, the United States, Liberia, and Myanmar (Burma) had not mandated the metric system upon their populace. Ah, breathe in the Orwellian goodness of that statement. The Metric System is so superior to other forms of measurement it has been mandated on the people by the force of law. All for their own good of course. Change is hard. Inches are easy. What does all of this have to do with Identity Systems? Change is painful. Like measurement systems, people will make do with their current Identity System (mostly user IDs and passwords), because they understand it and it works sufficient for their day-to-day lives. Change is hard. Passwords are easy.